According to the Individuals with Disabilities Education Act, Assistive Technology (AT) is any “item, piece of equipment, or product system, whether acquired commercially off the shelf, modified, or customized, that is used to increase, maintain, or improve the functional capabilities of a child with a disability.” AT resources can be implemented to increase function in all areas of one’s life, including school, work, home and in the community. Here at The Yellin Center, we evaluate students’ needs and provide strategies to amplify their abilities across all of these settings-not just school. However, in our 21st century learning environments there is a common misconception that assistive tech is predominantly digital. Although there are a wealth of complex, innovative high-tech tools, assistive technology includes a range of low-tech resources as well. For example, in the late 80’s Sam Farber, the founder of OXO Good Grips kitchen tools, noticed that due to his wife’s arthritis she was having trouble using her peeler to skin potatoes. He decided to research and design a set of ergonomically-designed kitchen tools that anyone could use regardless of functional ability. Today OXO tools are sold in every major department store, and aren’t only used by people with physical limitations. Mr. Farber redesigned a common tool in such a way that anyone can use it; that is a true example of Universal Design. Similar to how Mr. Farber made the kitchen accessible, there are a variety of low-tech tools designed to help make academic tasks accessible. 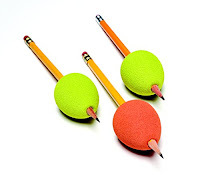 For writing, alternative pencils such as the Twist and Write, or pencil grips, like Abilitations Egg Ohs or AbiliGrip, can greatly improve the writing process for students with fine and graphomotor challenges. Students with similar motor challenges may also benefit from using slant boards or raised lined paper, which is a modified version of traditional lined paper. Augmented paper can also be useful in math. Math Notes paper uses a raised, grid format to help students properly align their work, thus avoiding calculation errors. Tools are also available to assist students with the reading process. If a child has trouble tracking lines due to vision or attention challenges they may benefit from tools such as the Blue Trakker Reading Guide or a See-N-Read. 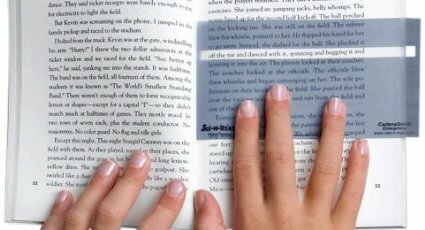 Alternatively, enlarging the print of a book or using magnifying bar such as the Carson MagniBar can also aid students in the reading process. Low-Tech tools also help students participate in non-academic tasks as well. For example, a student may not have the hand strength to work traditional scissors, but there are a variety of self-opening models for students to use. Students with gross motor challenges may struggle to raise their hand to respond to a question. Instead, they could use a simple buzzer on their desk. Communication can be facilitated using a pictorial system such as the Flip n’ Talk, which helps students convey their needs without having to use words. AT can also help students with self-regulation and attention challenges. Some students may require fidget toys, or special seats, such as the Sissle SITFIT, to allow them to quietly move without distracting themselves or their peers. Alternatively students may find it helpful to roll their feet quietly on a foot roller, or that a weighted lap pad helps calm them. So, although edTech is a growing industry, not every accommodation needs to be complex or expensive. Sometimes, like the OXO peeler, it is the simple resources are merely a modification of a traditional tool that can make all the difference. The empowering nature of low-tech strategies is that they can often be used by every student, not just those with learning differences.